Today’s Flash Back Friday comes from Episode 55, originally published in September 2011. New World Order, United Nations, World Trade Organization, World Health Organization – these are all names the world is familiar with, but who are they really? What are the real underlying causes of humanity’s problems? What influences are behind every decision made in Congress and every elected official? Join Jason Hartman as he and author, Professor Jeffrey Grupp, take a look at the existential and empirical evidence that monopolistic mega-corporations control all basic resources and items that world citizens depend on for their daily survival. According to Professor Grupp’s research, corporations are behind every government and major control agency in the world, working behind the scenes, exercising their power with an intricately woven design for controlling the lives of every human being in the world, from the food we eat, to the medical care we receive, to the education of our children, etc. 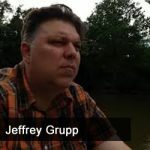 Jeffrey Grupp was born in Michigan in 1970. He is currently residing in Ann Arbor, MI. His professions are author, radio talk show host, and college teacher at a school in the Ann Arbor, MI area. Jeffrey is a former college instructor at Grand Valley State U, Western Michigan, Purdue (branch campuses) and Jackson Community college, teaching philosophy and religion, and more specifically teaching Eastern philosophy, ethics, metaphysics, and Buddhism. He is currently teaching philosophy at a small college close to his home and continues to author books on philosophy and religion.